Music can be a powerful tool, especially when it comes to memorizing! To this day, every time I’m looking for a book of the Bible, I find myself singing the “books of the Bible” song from AWANA! I’m sure many of you have testimonies as well. . . of how a song helped you to learn a verse, how a song helped your child remember a promise of God written into a hymn. M my grandfather learned first-hand how important music can be to one’s faith. He and my grandmother moved to Korea to serve as missionaries shortly after their wedding. Five months later, he was imprisoned by the Japanese who had taken over their city. Sitting in his cell, without his Bible, he sought comfort and encouragement in the Scripture and hymns he had memorized. He was saddened to learn that he only knew the first verses to many hymns. After he was released, and when he and my grandmother were raising their children, they made it a point to have them children memorize passages of Scripture and all the verses to the hymns they sung. “You never know when you’re going to need them!” Some sixty years later, when he was suffering with Alzheimer’s, the last words he was able to communicate coherently were the words to the hymns he had memorized as a young man. What a comfort it was to our family to hear those words, and what a testimony it was to those around him. Truly, this music was in his heart, and he sang it to the Lord in praise. 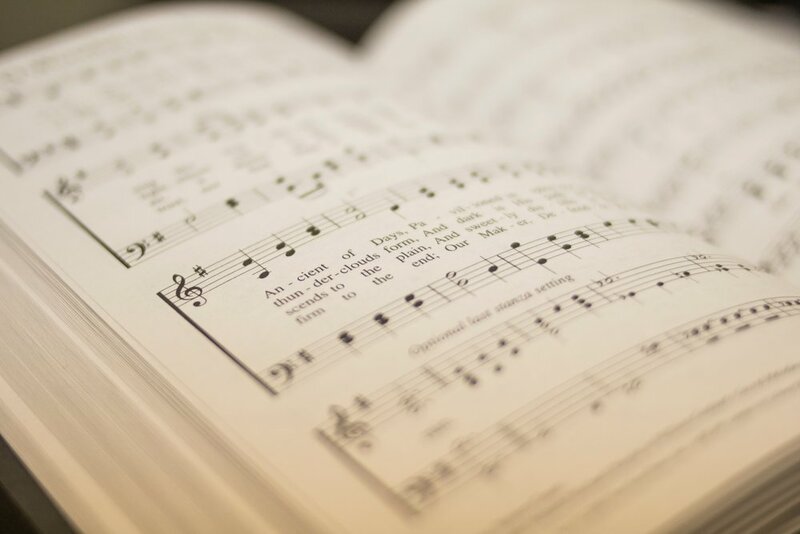 This week, ask your child about a song they sang in Sunday School. I hope and pray it is a fond memory for them, as well as a powerful learning tool. Lesson Truth- God gave his people food. Lesson Goal- Students will learn to live as servants of the Lord. 1. Before Israel entered the Promised Land, Moses died and was buried by God. 2. God encouraged Joshua by telling him that he would be with him wherever he went. 3. God told Joshua to be strong and courageous and to obey and meditate on the Law. 4. Believers are to be strong and courageous and obey God’s instructions in the Bible. 1. Explain God’s commands to Joshua. 2. Describe how God fulfilled His promise of giving the Israelites the Promised Land. 3. Recall God’s encouraging promise to be with Joshua. Lesson Goal- The student will understand what true, fruit-bearing repentance is. 1. John was dressed in camel hair clothes and a leather belt and ate locust and honey. 2. John would not baptize the Pharisees and Sadducees because they were not repentant. 3. John said that Jesus would baptize with the Holy Spirit and with fire.